Earlier this year, the Strong National Museum of Play, located in Rochester NY, established the World Video Game Hall of Fame to honor and celebrate individual games across a variety of platforms. Inductees are scheduled to be announced on Thursday. The list of finalists chosen for consideration for the Hall of Fame's inaugural class have long since been announced, and there is no lack of retro sweethearts; however, two of the biggest titles on the list exist solely because of a licensing issue. In 1977, rock star video game creator Shigeru Miyamoto was hired as an apprentice at Nintendo during the company's transition from playing cards and novelties to video games. Miyamoto shortly after became the company's first artist. Struggling to break into the American market, Nintendo president Hiroshi Yamauchi tasked Miyamoto with converting the unsold Radar Scope arcade cabinets into a new game. It was in this moment that the road to Super Mario Bros. was paved. Super Mario Bros., released for the NES in 1985, was an instant classic amongst early gamers. Super Mario Bros. not only redefined platform gaming, but was also the launch of the most successful video game franchise of all time, inspiring cartoons, comics, an ill-fated movie, and a line of merchandise that would leave even the Rolling Stones satisfied. Players of the breakthrough title found themselves dropped into the idyllic Mushroom Kingdom on a mission to save the kidnapped Princess Toadstool from the dastardly King Koopa and his army of henchmen. For many players, Super Mario Bros. was their very first introduction to the wonderful world of gaming. For years after its release, Nintendo and their suspender-clad hero ruled the entire market virtually uncontended, and the instant success of Super Mario Bros. is thanks in no small part to the fact that the game was brilliantly marketed for five years prior to its release. In 1981 Miyamoto, alongside Nintendo's chief engineer Gunpei Yokoi, combined an unlikely hero, a damsel to rescue, and an imposing villain into an addictive platform gaming experience with one of the earliest examples of a storyline that unfolds on-screen. Despite initial doubts by Nintendo America Donkey Kong was a monumental success, with the title's simian miscreant even appearing alongside the hero - who went on to become the Mario we all know and love- on cereal boxes. Surprisingly Donkey Kong was never supposed to exist, for in 1981 Miyamoto desperately wanted to create a Popeye game, based off the comic strip by the same name. Original plans included Bluto and Popeye continuing their neverending battle over the heart of the damsel in distress, Olive Oyl. Unable to obtain the licensing in order to make the title he wanted, Miyamoto substituted his own characters, drawing inspiration from Popeye, Beauty and the Beast, and King Kong, with Donkey Kong filling in for Bluto, "Lady" for Olive Oyl, and Jumpman taking the lead from Popeye. The initial disappointment over not creating the game he had originally intended to certainly wore off quickly, as the failed licensing attempt led to the greatest triumph in video game history. In addition, without the Mario franchise yet another finalist up for consideration for the Hall of Fame might not exist. Sega's spinny blue ball of swagger, Sonic the Hedgehog, replaced Sega's former mascot Alex Kidd and was created exclusively for the purpose of combating Mario's reign over the video game industry. Sonic introduced something new and revolutionary to gaming - speed. Better than speed, fluid speed. The sort of speed that felt so organic, you were certain this was the way games were always meant to be played. Sega did more than deliver a fast, well designed character with a "come at me, brah" attitude. Their beloved jewel Sonic the Hedgehog not only combatted Super Mario in a political-tier mascot rivalry, he also beat Mario to the 16 bit era and challenged him every step of the way. Stunning level designs, the brilliantly conniving Dr. Robotnik, and enough sass to appeal to older game enthusiasts helped Sonic the Hedgehog to not only battle Super Mario Bros., but to also stand on its own as a brilliant and influential franchise character. 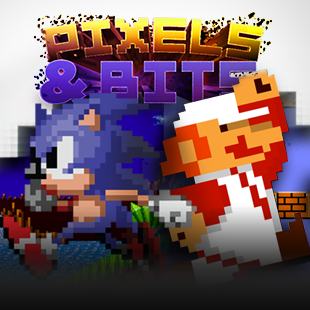 Despite their names being forever tied to one another as the greatest feuds of all time, both Sonic and Mario are phenomenal titles that defined not only the platforms for which they were made, but the entirety of the video game industry as a whole. Sonic's legacy mirrors that of Mario's, yet he would not exist without Mario, who would not exist without Donkey Kong, who only exists because someone didn't want to share Popeye. In 1982, Nintendo finally did get to make their Popeye game, with a layout that closely resembled that of Donkey Kong. Neither its success nor its legacy carried a fraction of the acclaim of Donkey Kong and the resulting Mario franchise.